The Greatest Pirate Story Never Told! Three dangerous criminals and one misplaced innocent arrive on death row. Incarceration ironically sets free their wildest fantasies as, trapped between the iron gates and an electrified fence, they interact with each other and with the audience. At the end of all the comically bungled executions, all hell, quite literally, breaks out. No one is safe, least of all the audience! There are not currently any reviews for this show - be the first to add one! You are not logged in. Log in so you can edit your reviews later, and earn reviewer points! Your Display Name: This review will appear as anonymous unless you create an account and login. 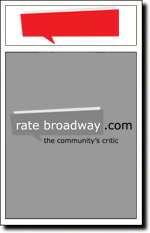 © RATEBROADWAY.COM AND TEMPIC.COM. All rights reserved.